The charging case is the key to it all. This is the only way you can charge the earphones. 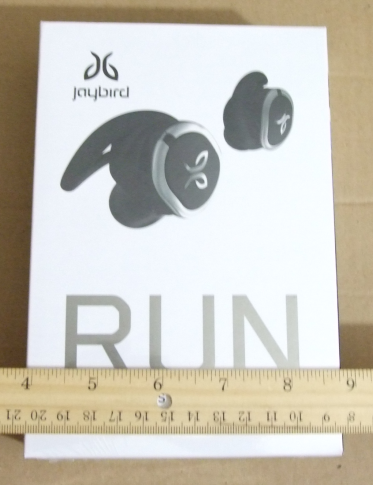 The case is also a rechargeable battery, and when you put the earphones in and close the lid, it begins charging them automatically. Each earphone has a light of its own. The case has three lights. One for the case in the middle, and one on each side for each earphone. They are charged separately. 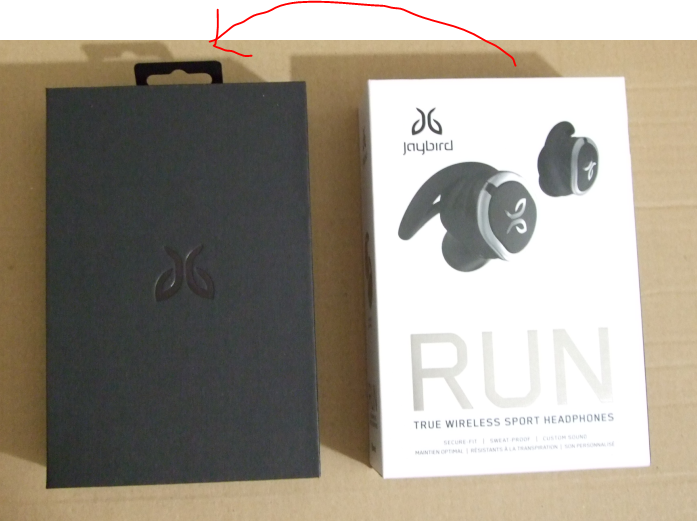 The right earphone is the dominant one so it typically runs out of battery first. 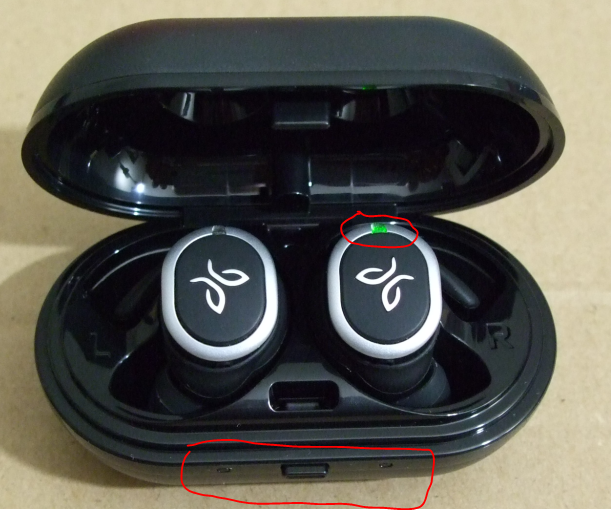 The left earphone cannot operate without the right earphone, so it doesn’t matter if it has any remaining battery. 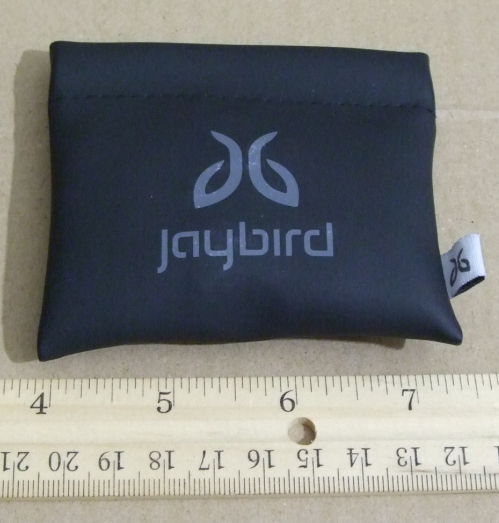 If you want to store or carry the earphones without charging them, Jaybird also includes a conventional magnetic top resealable pouch. 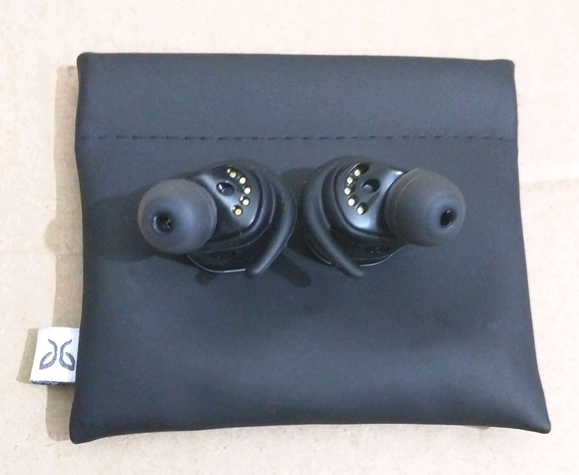 In addition to the case, a short microUSB charging cable is included, along with earwings (the two clear bags on the left) and eartips (the two clear bags on the right). The carrying case is included for size. Last (and least) is the paperwork. A quick guide along with mandatory paperwork and a sticker. One of the three paperwork thingies is literally an almost empty page. 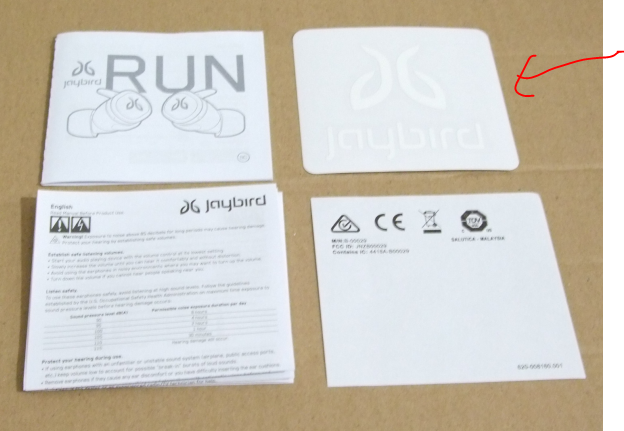 The quick guide is very primitive, but it includes the easy to type url for the full PDF user manual at the Jaybird Sport Support website. Or if you are not fond of PDFs, they also have an expandable FAQ. 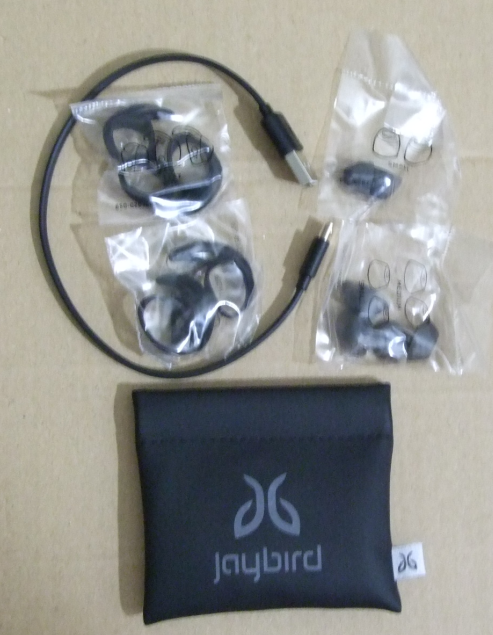 In Phase II, we will have close-up pictures of the earphones and the various eartips and earwings.